Percival Roosevelt Wilkinson was born in August of 2014, and on our second night in the hospital, he failed his newborn hearing screening. We had a feeling that we were looking at profound deafness, but it wasn't until a few days before Christmas that year that we knew for certain, and also that we would be pursuing cochlear implants. There wasn't much time to process all of this heavy stuff... we had to get to work. Getting cochlear implants is a long process — lots of appointments at hospitals far from home, and a lot of figuring out things on the fly. Ear molds. Hearing aids to keep the nerves active. MRIs. CT scans. Tubes. Tests, tests, tests, not to mention that the ultimate goal is some serious surgery on both sides of his tiny little head. We were lucky to have the incredible team at Massachusetts Eye and Ear Infirmary in Boston, but it was a lot to go through as new parents. Looking back now, it's easy to forget those trials and troubles, but we know it's important to keep that perspective. We hope our story can help new parents who find themselves in our shoes. Percy was an ideal candidate, and by July we were ready to undergo the actual implantation. It was a lot of waiting that day, but we were so confident and happy with our amazing team of doctors and nurses, especially Dr. Michael Cohen, our Otolaryngologist who performed the surgery and still sees Percy for checkups. After a few weeks of healing time, we went to see our audiologist for activation. We had maybe expected a little too much from that experience, and we left that appointment fairly disappointed and sad. Turning the implants on was just the beginning.We knew there was a long road ahead of diligent and consistent coaching and therapy to ensure the best results, but even by the end of that first night at home, we were seeing Percy react to sounds. Through the coming weeks, that disappointment gave way to excitement and joy as Percy quickly learned to make sounds and string basic words together. We met with a speech therapist and teacher of the deaf every week. She helped us shape Percy's perception of spoken language and build his vocabulary. In the year after his activation, Percy caught up with the kids in his daycare, eventually becoming even more of a chatterbox than the rest of the two year olds in his class. We're lucky to live near the Percival Baxter School for the Deaf, where Percy continues to get a fantastic and well-rounded early education with support for speech, hearing, and the unique issues that exist for cochlear implant kids. Percival is 4 now, and he loves to talk and sing, listen to music, and make up wacky stories. 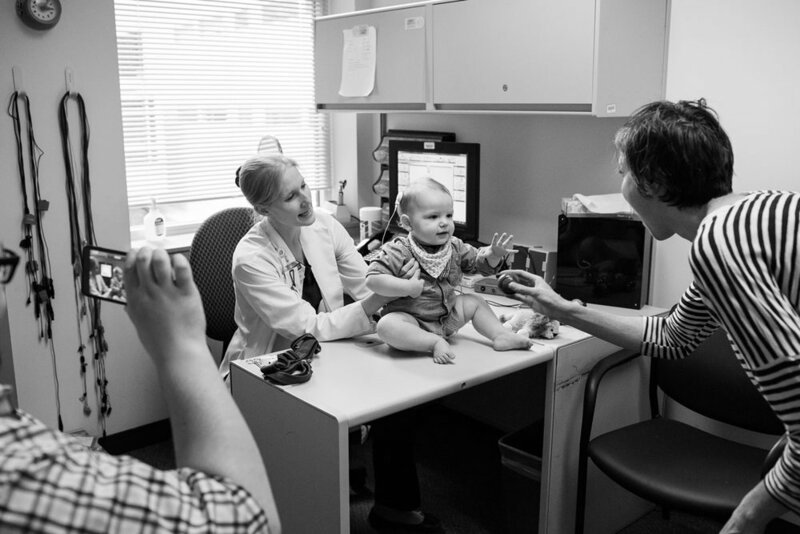 Every single day, we think about how lucky we are to have had this opportunity to give our son hearing. He's such a special, amazing little boy, and we're having an absolute blast watching him grow and learn.